Audi Ontario serves Los Angeles, Chino and Rancho Cucamonga area Audi enthusiasts with a great selection of new and used Audi vehicles. We are excited to bring the Audi brand to the city of Ontario, California. The all-new Audi Ontario features a great selection of new and used vehicles as well as a state-of-the-art service center that's ready to take care of your routine maintenance and service needs. Our experienced sales staff is eager to share its knowledge and enthusiasm with you. They can't wait to help you navigate our showroom and lot full of the latest Audi models near Los Angeles, but for now we encourage you to browse our online inventory, schedule a test drive and investigate financing options. You can also request more information about any vehicle you see using our online form or by calling 866-798-3521. We look forward to serving you at Audi Ontario! 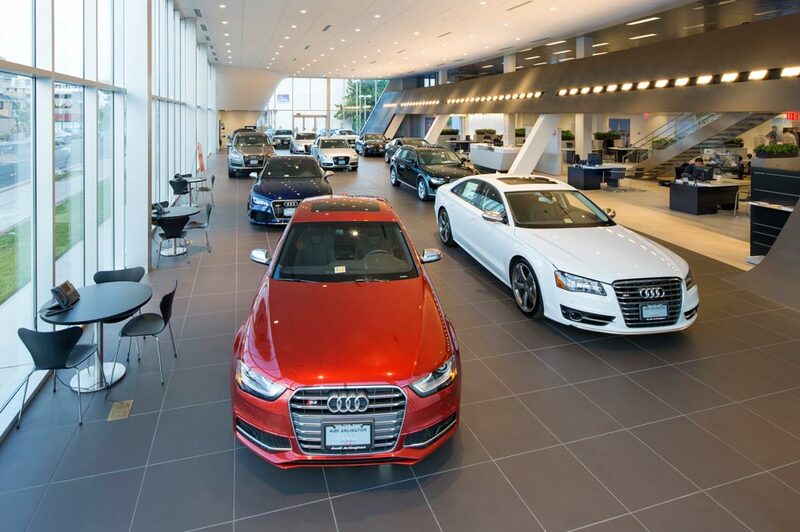 Audi Ontario in Ontario, CA treats the needs of each individual customer with paramount concern. We know that you have high expectations, and as a car dealer we enjoy the challenge of meeting and exceeding those standards each and every time. Allow us to demonstrate our commitment to excellence! Our experienced sales staff is eager to share its knowledge and enthusiasm with you. We encourage you to browse our online inventory, schedule a test drive and investigate financing options. You can also request more information about a vehicle using our online form or by calling 866-381-3591.